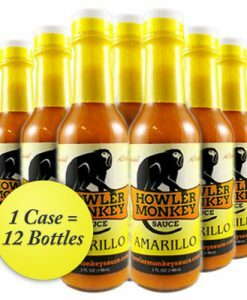 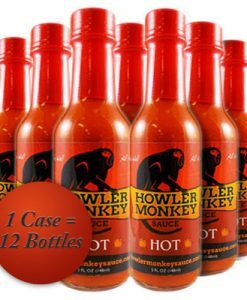 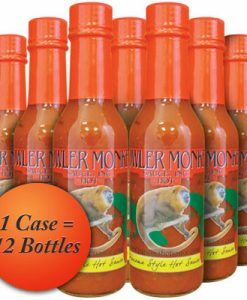 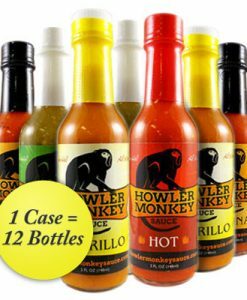 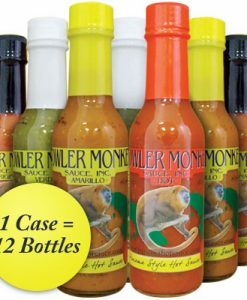 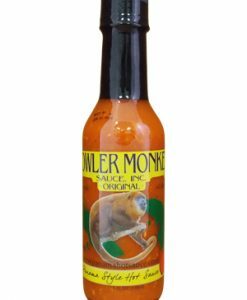 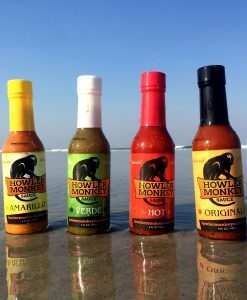 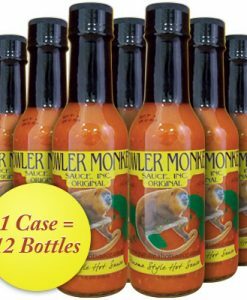 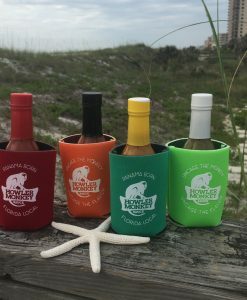 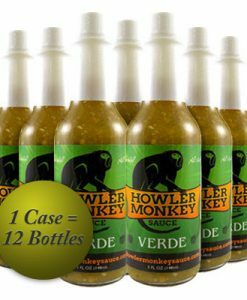 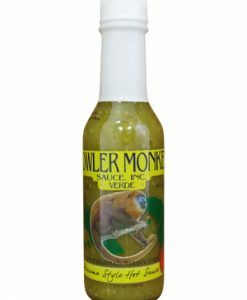 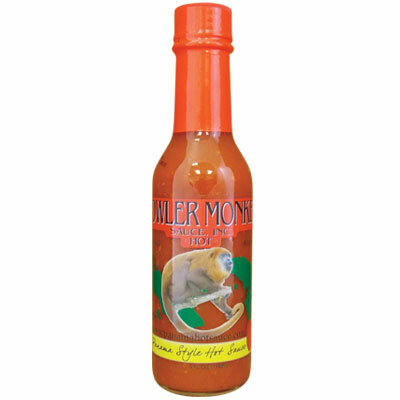 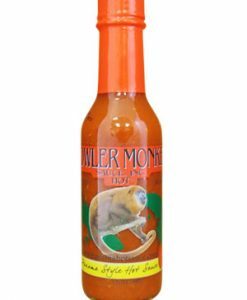 Howler Monkey Hot Sauce (5oz./148ml) Ingredients: Distilled vinegar, scotch bonnet peppers,red habanero peppers, garlic, water, salt, onions, mustard (distilled vinegar, mustard seed, salt, turmeric, spices), salt, turmeric, black pepper, cumin. Want more heat? 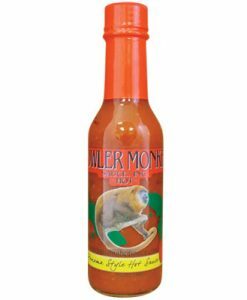 Hot is another variety of our Caribbean style hot sauce from Panama. 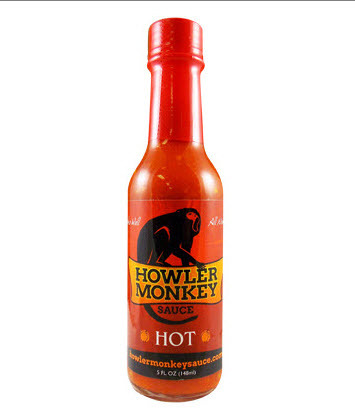 We took our Original recipe and add Red Habaneros to bring up the heat a few notches. 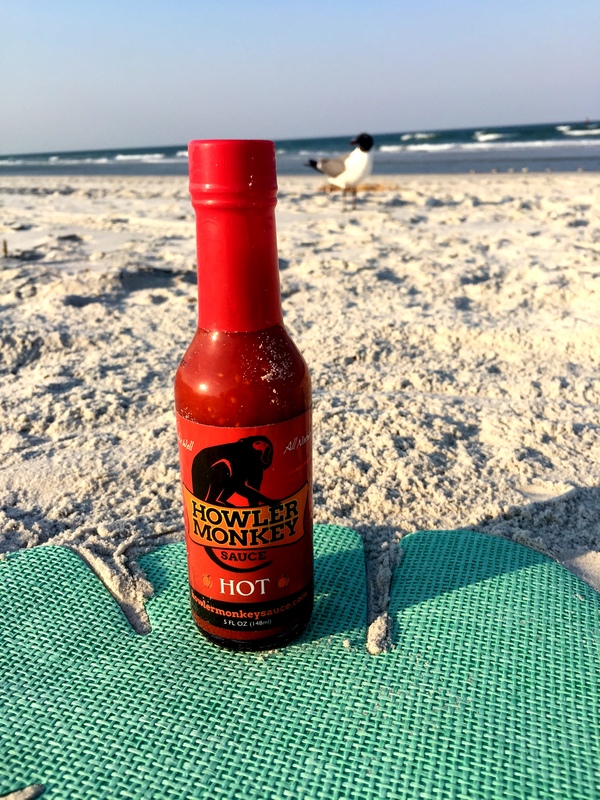 Same great taste with a little more kick! 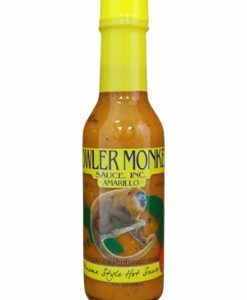 Distilled vinegar, scotch bonnet peppers,red habanero peppers, garlic, water, salt, onions, mustard (distilled vinegar, mustard seed, salt, turmeric, spices), salt, turmeric, black pepper, cumin. 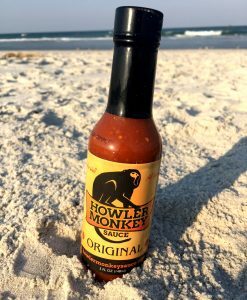 In keeping with tradition, our sauce is All Natural! 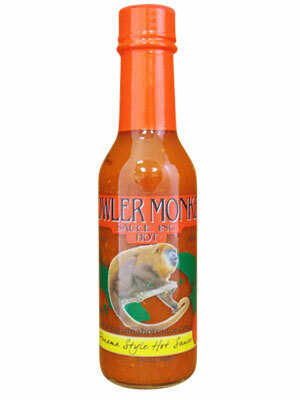 We don’t use Sugar, Xanthan Gum, Sodium Benzoate, or MSG, which you will find in a lot of other hot sauces. 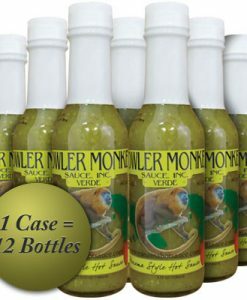 Plus, all flavors of our sauce contain ZERO calories. 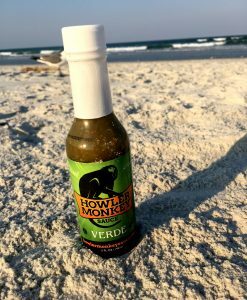 We are proud of what’s in our bottle, just look at our ingredients, we don’t water down our sauce!